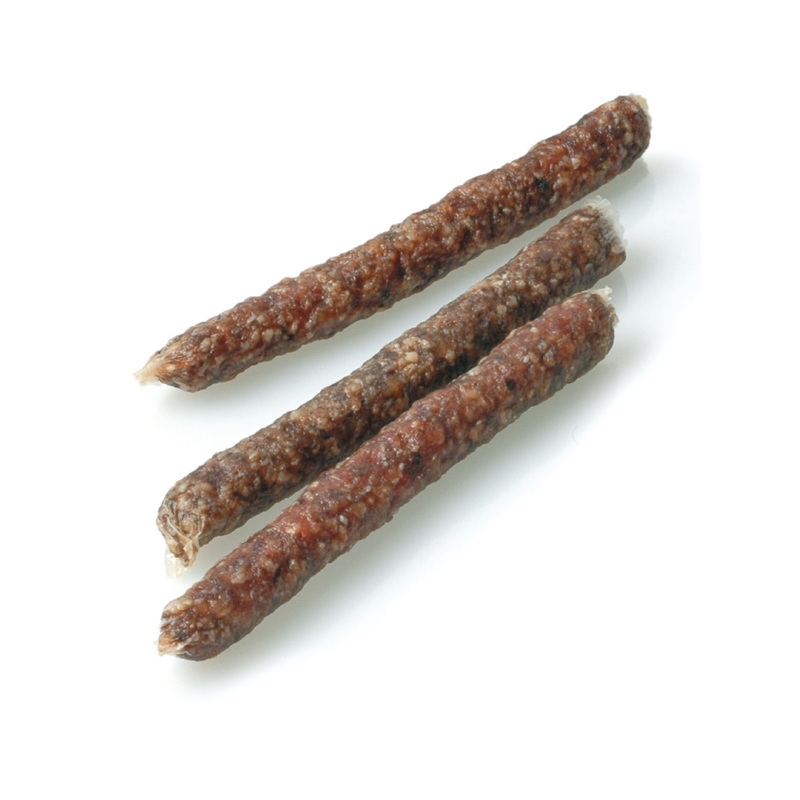 Größen: 7 St. / 17 St.
Biolis are made carefully by hand and gently air-dried for up to 4 weeks. That is a unique process. Bioli is a healthy and enjoyable chewing snackfor between meals. at least 80% rumen (in natural form and without fat), rice, carrots, leeks.